New version of WindowSpace was released today. 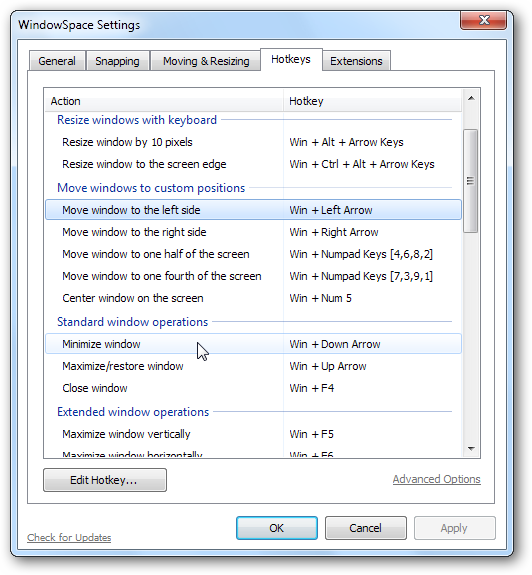 Even on Windows 7, you can reassign now Win + Arrow Keys in the WindowSpace Settings. After a few hours of investigation I found a workaround to fix this annoying issue. New translations: Georgian - more than 14 languages now!